First published in 1985, this study, focusing on Israel, looks at the underlying reasons why certain political, economic and social events have taken place in the country’s history. It provides vital analysis of the political and economic issues of the country, and those that have affected it, as well as providing statistical material on all the key data of the political economy. 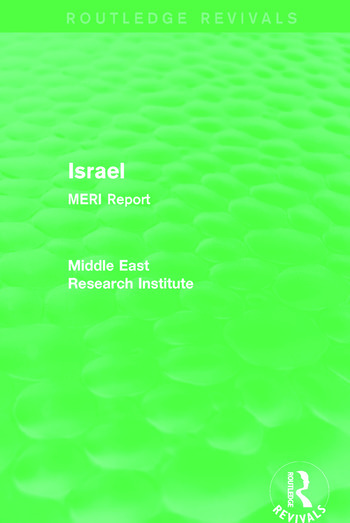 The book was originally published as part of the Middle East Research Institute (MERI) Reports on the Middle East which quickly established themselves as the most authoritative and up-to-date information on the state of affairs in the region.